Customers buy solutions to problems or solutions for outcomes they need to make their business or lives better. While pricing is important it usually ranks 3 or 4 on buyer’s criteria. Too many businesses rely on the assumption in the era of digital self-education that the most important thing to a customer is price. But buyers and consumers are moving away from the traditional purchasing funnel to a more enlightened decision journey that uses the Internet to change the way they research, value and buy products. If sales and marketing plans have not changed in response to the new buyer-driven decision journey, it better start soon. So why do customers buy? Before we answer that, the first thing to understand is that every customer has a “decision journey”. This journey has pre-purchase and post-purchase steps. The pre-purchase journey can be described as Awareness Consider Evaluate Buy. The post-purchase journey is Reflect Feel Decide. In this article we will discuss the pre-purchase customer decision journey. Understanding the customer journey and its steps as to why customers buy can speed up the sales cycle improve conversation rates and drive revenue. They say the goal of marketing is to reach potential customers within a specific market and influence their buying choices by making them aware of their brand or products. Today, buyers are so well informed and knowledgably thanks to the explosion of social media and digital channels, they can create a buyer “consider list” without the company ever having a sales conversation or contact. Marketing has to align itself to the awareness part of the decision journey. To raise awareness companies need to focus on buyer-driven marketing of which the internet is at the core. Pushing out brochures, advertisements or media buying as part of a company-driven marketing plan is still relevant but buyer-driven marketing is about creating digital properties that pull buyers towards the company, digital properties like whitepapers, product specific informational web sites, content marketing, customisable content, free product interactions, social selling, tools to engage people on social conversations about your industry and products, comment posting and world of mouth interactions, context marketing, etc. So buyer-driven marketing is about raising awareness to buyers who are already most likely engaged on the internet for your products and services. This is the part of the decision journey where consumers and buyers narrow down their buying funnel and start to consider what companies, brands or products they would contemplate purchasing from or not. Has the buyer-driven marketing plan got the business into the consideration phase of the journey? This can be measured by trigger events like web traffic, sales leads, inbound enquires, white paper downloads and via social media channels like twitter and Facebook. This is where marketing, sales, customer service have the tools to cover all the buyer touch points to make it easier for the buyer to move to the Evaluate step. This part of the decision journey is where buyers add and remove companies or brands as they further narrow (and qualify) their buying funnel. General evaluation leads on to active evaluation where information gathering, sales conversations, meetings, presentations, proposals come into the mix. Research shows during the evaluation phase buyers look for ease of use, ease of implementation, product offering and ease of connection to company (multiple touch points). This is also where buyer-driven marketing pays off as buyers now start to “pull” information from the internet, information like product reviews, white papers, and previous buyer ratings while also pulling insights into the company and product via free trials, proof of concept, face-to-face, phone or web interactions, customer references and company policies. Commitment to buy. Where the buyer selects a brand to do business with and makes the decision to purchase. This is where the company ensures all steps are kept to a minimum, whether its clicks, paperwork, compliance, set-up, downloads, configuration and payment. The shift in buyer-supplier selling process and the buyer decision journey means that marketers and sales leadership must adopt and view this change as an opportunity to be in the right place at the right time, giving buyers the information and support they need to make the decisions. Sales and marketing have to be one where every touch point from customer facing activities, web sites, PR, leads generation, customer awareness and sales is everyone’s responsibility. What the buyer is looking for during these steps is Value. If a buyer cannot see the difference between two products, then price wins. If sales and marketing do not address the customer question “How will I benefit from this product or service?” in their buyer-driven and connect the dots for the buyer then the buyer will remove the company from the decision journey or go for lowest price solution. The future of business is digital, so when business leaders start to formulate a business strategy they need to understand that customers, products, business operations and competitors are now digital. Is business strategy being replaced with digital strategy? And do companies have the sales and marketing skills to compete in a digital marketing world? A business strategy of viewing digital channels or methods as tactics is no longer valid. Instead businesses should see their company as an online ecosystem that connects digital resources both internally and externally to customers in order to compete. To stay competitive a business must harness digital technologies and channels, not just to deliver sales or superior customer experience but to drive operational efficiencies across all aspects of the business. One big question facing business leaders today is “Is our business constructed to thrive in the digital marketplace? Digital disruption may be the only possibility for future business success as the barriers to market entry are being blown wide open. Competitors both large and small are rushing in grab a share of the market, so every business has to have a strategy in the digital marketing landscape. Bye now, most businesses know that digital is changing the way we do business. Every business must evolve and have a digital strategy that can take advantage of new sales and marketing platforms, data tools, and digital technologies that can get a business closer to customers. The adoption of digital channels by the markets means a business must change and ensure that agile adaptation can be delivered in all levels of the company, both strategic and tactical. A business strategy for a digital marketing world may be the only option for some companies to survive and move towards a profitable future. 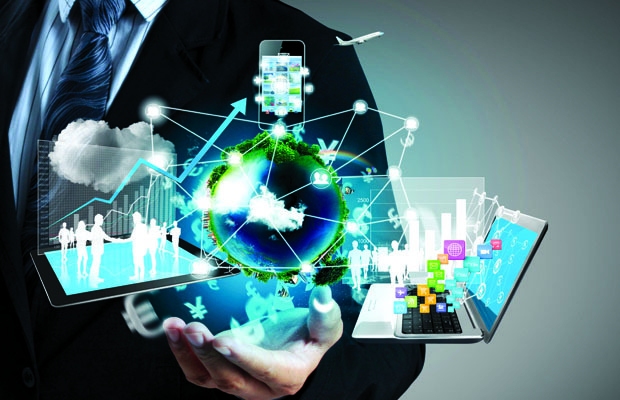 The market is pulling these business changes as the markets or countries with knowledgeable populations, high standards of living and education are demanding companies face up to the challenges in the digital landscape for communication and commerce. The reality is that digital advancement and the associated challenges will accelerate rapidly in the few years. Business leaders must grasp the straw and realise that innovation, flexibility, and speed of execution will be core to thriving in a digital marketing powered world. Regardless of B2B or B2C, buyers are now highly knowledgeable, tech savvy, and the Internet and social media is their go to source for information. Today, people communicate differently, buy through different channels and expect a different flavour of products and customer support. The result is digital is not an add-on but is a mind-set, a lifestyle, a way of doing business. Here are some suggested digital strategy priorities. While business leaders see that digital is having a strong impact in the area of sales and marketing they should also review customer service, finance, supply chain and human resources. While most companies start the digital journey by adding-on social media (LinkedIn, Facebook, Twitter, Pinterest) they do not integrate these social tools into an integrated business strategy. While the focus on near term activities such as lead generation are positive, to fully maximise the customer experience and operational efficiencies that can contribute to a competitive advantage companies need to expand out the digital strategy to all departments. IP, technology lead and more traditional companies can benefit from developing partnerships with outsourced sales, channel partners etc.in order to compete with companies that have grown up in the digital landscape. For the companies that do not have the skill-sets in sales, marketing or social selling, nor the capacity to adopt a digital strategy, it could be more efficient and cost-effective to partner with a digital enabler in their market space or outsource it internationally. Outsourcing a requirement such as sales via partnerships could speed up the digital strategy while a business is able to harness a partner’s strength while addressing the market challenges. The digital channels have seen the rise of faster communication, social news and user generated feedback content. The ability of one to many communication platforms has meant the customer experience is now a critical element for a company to gain a competitive advantage. Relevant in both B2B and B2C companies, the focus in the marketing strategy to a customer approach for content marketing, information dispersal and updates is critical. Companies should strive to deliver excellence across all its customer touch points. A digital marketing strategy should consider what new and innovative services would enhance the customer experience. Social media or social selling driven customer engagement can be the disruption agent to drive a business forward. 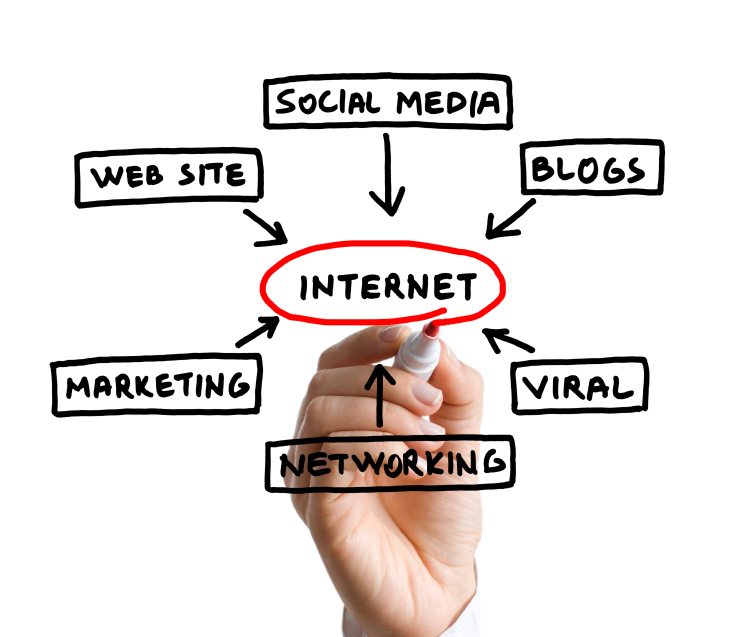 Digital marketing is not just a series of social media tools. While social media tools are a great vehicle to drive brand engagement, companies need to accept “business as usual” is over. The future buyers for products and services live in the digital space, and so will their suppliers. Social media engagement is part of the digital marketing strategy involving content, access channels, audience interaction and ability to influence remotely. Digital distribution channels need to be explored, defined and redefined as the “4P’s” of marketing are being rewritten. Can a business’s product be delivered or accessed in another way or format? Digital distribution and ease of customer use may be directly related back to the digital acceptance of the company’s senior team and the company’s ability to execute the digital landscape as a strategic business priority to give it some competitive advantage. Across all regions and market segments of the world, digital disruption to distribution channels is here now. The growing influence of the “Internet Always” population and the impact of digital technologies on the way we conduct business requires business to rethink strategy. Every business whether start-up or large corporate needs to have a business strategy for a digital marketing world which means to start with acknowledging the changes and then respond accordingly. Remember this phrase “When technology and society change faster than businesses are able to adapt, then the result is extinction” – Karl-Heinz Land. A sales strategy is the process of matching the business purpose or mission with a sales plan, then putting in place goals, metrics and sales tactics. The sales strategy will also map out courses of action and allocating resources to achieve the selected goals and tactics. A sales strategy is really about answering the one critical question “What is the best most viable method for the business reach paying customers for the product or service? Is it sell to or sell through, direct or indirect? Before a sales strategy addresses how the sales team will sell or, it must first address how customers are buying. Today customers are seizing the balance of power in the buyer-supplier relationship, more and more aspects of the sales process is being played out online, so companies need to structure the sales plans and resources for this new reality. Sales and marketing are now one team, an integrated “Smarketing” team that functions to target and acquire customers. Understanding customers buying behaviour define the product offerings. Vanilla flavoured selling will disappear, sales teams need to be specialised, social enabled and multi-channel savvy. Sales reps have to work at adding value in the sales process rather than just quote features and benefits. Sales complexity and the sales process needs to be minimised to ensure selling costs are controlled in a tighter margin environment. The key Sales Strategy Questions. Does the business have a market development lead strategy (selling more of same product to same/new customers) or a product development strategy (selling new products to same/new customers)? Who is the business selling to? Does it know which market segments have the best growth rates? What is the most effective means of reaching target customers and what is the cost in taking this route? How does marketing and sales share the workload and collaborate? How does the business equip the sellers (direct, indirect, partners) with the right content, expertise and skills to navigate the customers’ buying journey and then differentiate the business value proposition? Does the business collect and analyse data to forecast which products customers are likely to buy or trends developing? What is the most effective sales and distribution model? The sales strategy selection should cover what is the customer sweet spot, what are you offering them, sales deployment for customer coverage based on customer sweet spot, sales and marketing activities, what sales and marketing enables/tools will the business use, how you will manage and track performance against the goals. The target market. This is the customer selection, customer sweet spots where the sales and marketing focus will be. Give it some detail. Once the target market has been defined, give it some detail. How big is it, profile of customers, buying preferences then create a hit list. The hit list should be number and data driven, do you have 100 or 1000 or 10,000 prospects on the list. Reaching the target market. What is the primary reach method or put another way “what is your customer acquisition plan”, is it on-line, social media, cold calling, partners, channel or networking? Regardless of the method to reach paying customers, reaching the target audience takes “Smarketing”, sales and marketing working together on tactics like content marketing, social selling, industry influence, thought leadership, blogs, and whitepapers, audience reach on Twitter, Facebook, and LinkedIn etc. Effective sales strategy using Smarketing means a business drives marketing qualified leads (MQL) and sales-qualified leads (SQL) into one sales funnel, then measures, monitors and ensures follow up on the leads generated for the business. 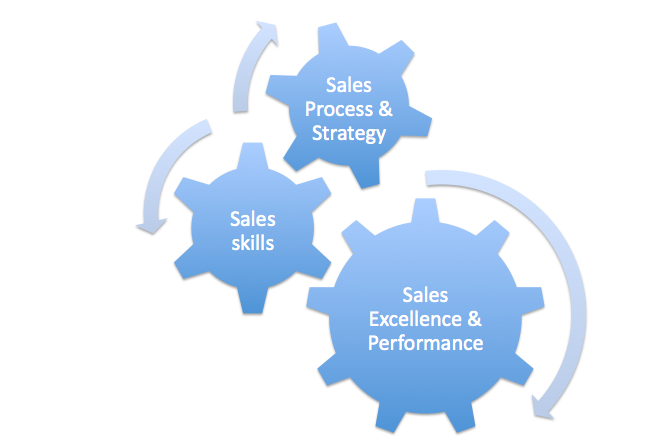 A business needs to map out the sales cycle and sales process. This is all about getting the sales team selling. The “Smarketing” effort should have a target of generating leads via inbound marketing, landing pages, request for information, social selling on LinkedIn and other social media sites, cold calling or field visits. Customer Nurturing. The sales process should be void of any unnecessary complexity or obstacles in customer interaction. The sales process has to include social selling, where the sales team gets engaged with social selling to the prospects. This stage is where prospective buyers are sourcing, digesting and reviewing information and content. A recent report by Act-On showed that 85% of Business-to-Business buyers said it takes three or more pieces of relevant content to help make a decision on progressing with a supplier. So, a business can lead nurture by influencing the buyer to take action by feeding them with relevant content on their terms or personalised preference. Make sure the sales teams are delivering on what the marketing message promoted. Vanilla feature and benefit selling is gone, train the sales team to be industry experts, build the customer relationship. Don’t expect them to stay with you or use you for other needs if you are not taking the time to build a relationship with them. The sales process does not end with the sale. Did we hit the numbers? Collecting the data gives the insights as to what works and what does not so a business can tweak the sales process. The challenge for sales leaders today is to better execute on their sales strategy. Buyers and business even consumers are going through changes in what they buy, how they buy, and what they are willing to pay for it. As buyers change how they buy, vendors need to change how they sell. The way a business sold its products or services is not going to cut it in the future. Sales strategies need to be nimble, social driven and customer lead. Now is the time to revisit and revise the sales strategy. Any Irish company with growth ambitions needs to have a digital marketing strategy in order to take advantage of the growing opportunities for sales, inbound lead generation, traffic and customers that digital marketing can generate. The internet is changing the buyer –supplier relationship, today businesses have to know that attention is a currency and social media generates lots of noise so it is becoming increasingly difficult to attract the eyes and ears of the companies target market. Small companies can compete with larger companies but larger companies have well-funded marketing departments, a business is also competing with social media itself for information dispersal and a multitude of social networks are trying to get the attention of the same prospects or traffic. So digital marketing has to have a strategy, a well thought out strategy which must support the overall business strategy; in fact a company’s digital marketing strategy may be the engine that powers the sales strategy. Ask the question, “what is our digital marketing strategy based on?” is it customer growth, new product promotion, market penetration or market development? Digital marketing and social media channels continues to expand and influence the buying choices of consumers and business so it is vital that every business learns how to succeed in the online world. In some recent reports published into digital marketing, a lack of effective strategies remains the most significant obstacle to succeeding in digital marketing. In fact, a survey of digital marketing managers showed that over 51 percent of them believed that a lack of connection to business strategy prevented them from achieving the digital marketing goals set out. A well thought out digital marketing strategy will help a brand or business reach digitally engaged audiences, build deep customer relationships, and create new markets, products, or even redefine the business model. Planning and executing a digital marketing strategy is essential to out-thinking the competition. In the online world the ability of a business to thrive could well be directly related to how well the business is able to maximise digital media channels. Social networks such as LinkedIn, Facebook, Tumblr or Twitter or keyword searches on Google means it is possible for consumers or potential customers to interact on a truly global scale. Buying channels and behaviours are changing, the sales process and customer acquisition tactics are being redefined which means regardless of the business size or industry, it is critical that a business learns how to tap into the power interacting and engaging customers online. The number of digital marketing choices can seem confusing, companies can confuse digital marketing tools with digital marketing channels, what is social posting versus SEO, what has content marketing to do with marketing automation? As a result, it can be difficult to determine where to start. Without a clear digital marketing strategy the temptation by a business, particularly small businesses are to try and do it all. Get a video created and post it on YouTube, plug a few promotions on Twitter and Facebook, join lots of groups on LinkedIn, the list can go on and on. Some businesses even use a specific team to handle a social media channel. The reality is, without the right digital marketing strategy, a business is simply wasting resources and time, even losing ground to competitors. Much the same as any business planning process, the key is to understand the business mission and vision, then get agreement on the overall business strategy roadmap, next develop an understanding of the customer base, what goals the business wants digital marketing efforts to achieve, then selecting a digital marketing strategy that will help you to reach both your target audience and goals. For instance, if the strategy is market penetration or development then the strategy is to reach new customers or if it’s a product development strategy then the strategy is to focus on launching a new product or service. The point is, without a solid strategy, it is not possible to determine whether the digital marketing tools a business has invested in will actually help meet the goals that have been set. There is allot of technology hype around tools, social media monitoring, digital marketing courses, SEO submission etc. so thread carefully as the easy option can be to simply jump in on the latest digital marketing buzz word which may or may not help a business’s digital marketing strategy. Selecting a strategy for meeting those goals. Monitor, review and adjust the chosen strategy. Start out thinking your competitors, develop a digital marketing strategy that can be resourced and has clear ROI. To bring the point home, MarketingProfs reports that 69 percent of senior marketers in large companies expect an increase in digital spend. The time to get digital marketing right is now as digital marketing will impact on a business’s customer acquisition, sales, product development and maybe ultimately business success. 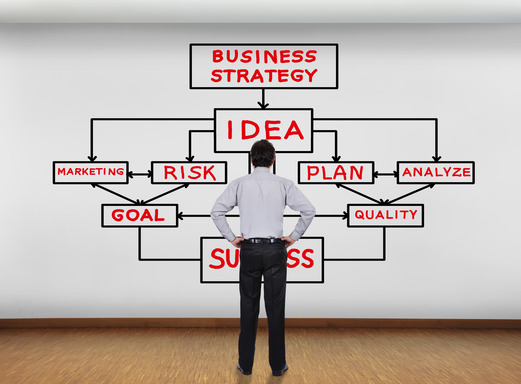 Business plan and implementing a business strategy is more than simply achieving business goals. It inspires people to work hard, makes the team feel part of a purpose; it incites actions and ensures that activities happen. Simply constructed, effectively executed, a business strategy is a template for business success. A business needs strategic thinking before any strategic planning. Maybe the biggest strategic obstacle to any business is if they can out think their competitors. The business mission concentrates on the here and now. A mission statement defines the fundamental purpose of any business. It identifies who the company is, what it does, and who it serves. 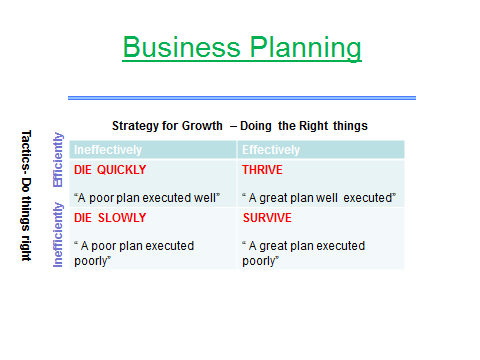 A business plan gives a business options, it can Die Quickly, Die slowly, survive or thrive. Doing nothing is not an option; a no business plan is the weakest plan of all. Start with goals – what do I want out of this business? Create a vision of what the business needs to look like in order to accomplish your goals. Create a business mission to guide you along the way. Develop strategies to get you from where you are now to where you want to be in the future. Strategies require investments – which mean budgets, resources and timelines. What is strategic business planning? Strategic planning is the process of determining the primary business purpose (the “WHY”), putting in place goals and tactics, then adopting courses of action and allocating resources to achieve the selected goals and tactics. Has history shown us that the No.1 business killer is lack of market? When a great business team meets a stagnant market, market wins. When an average business team meets a great market, market wins. But when a great business team meets a great market, then something really special happens. An economical way to target and serve it. Note: Product quality will not create market size; Steve Jobs learned that lesson with his NeXT business. Market penetration is the name given to a growth strategy where the business focuses on selling existing products into existing markets. A market penetration marketing strategy is very much about “business as usual”. The business is focusing on markets and products it knows well. It is likely to have good information on competitors and on customer needs. It is unlikely, therefore, that this strategy will require much investment in new market research. Market development is the name given to a growth strategy where the business seeks to sell its existing products into new markets. Market development is a more risky strategy than market penetration because of the targeting of new markets. Product development is the name given to a growth strategy where a business aims to introduce new products into existing markets. This strategy may require the development of new competencies and requires the business to develop modified products which can appeal to existing markets. Diversification is the name given to the growth strategy where a business markets new products in new markets. This is an inherently more risk strategy because the business is moving into markets in which it has little or no experience. For a business to adopt a diversification strategy, therefore, it must have a clear idea about what it expects to gain from the strategy and an honest assessment of the risks. However, for the right balance between risk and reward, a marketing strategy of diversification can be highly rewarding. Every business should develop a “strategic hypothesis” and test it out making very small bets. Try to sell the idea to a customer before it’s built, look for a supplier, and ask a mentor or advisor who has some expertise in the new area. A business plan for growth should be grounded in your Business Purpose, Mission and Core Values, a solid business strategy will help you develop a plan of action and maximise your likelihood of success in achieving your vision. Why does a business exist? Every business needs a mission and a purpose. We know the overarching purpose of any business is to acquire, develop and maintain customers at a profit however any business must fundamentally know why they exist so the effort, work and emotional investment has a real meaning to all stakeholders. Is there too little “know why” in business? Businesses with a purpose are usually led by a person with a purpose. Business vision and business mission should not be confused, business vision is about imagining the future shape of the enterprise, the business mission is about the here and now, it defines the reason the business exists and its purpose. A business mission is about personalising who the company is, what it does, and who it serves. Writing a business mission statement should be done in consideration with the business vision and values. Business mission statements means there is a primary purpose behind the business or organisation. This primary purpose is the why the business exists and about putting the business on the right course for success. The business mission must be in the DNA of the business, in everything the business does, every action the business takes, every product it manufactures, every service it provides, every communication it issues, every transaction it conducts, and how the business conducts itself. Without a business mission, the business is a ship adrift on a dark ocean, so when the going gets tough, the business has no compass, no reference points, no why does it exists, no purpose. The lack of a business mission will impact business growth, sales and customer focus. According to this theory, true business purpose can be found in: (1)discovery, the challenge of adventure and innovation characterized by dot-com entrepreneurs willing to work 24/7 in search of the new or unknown, (2) excellence, in which high standards are not compromised for short-term performance (as with Berkshire Hathaway and Warren Buffett), (3) altruism, where the primary purpose is to serve (customers, employees, etc.) first and assume that profit will follow (as at Nordstrom), and (4) heroism, typically involving grand plans to change entire industries or even the way we live (Bill Gates and Microsoft). The argument is that only one of these business purposes, if pursued rigorously and successfully, is required for success. Creating a personalised mission statement for a business is not some exercise done in isolation, the mission statement must reflect the business’s core principles, connected to what the business stands for, it must be seen in the profile of the people the business hires and defines the culture the business is working to create. A mission statement binds the people in the company to make an impact on success of the business because everyone in the business understands and lives by the mission. The primary purpose of why the business exists can be built around why and how the business serves everyone who interacts with it, in whatever way, and for whatever reason, at the very highest level of attention and quality the business can deliver. A true, living business mission is about the business attributes that will draw customers centred on VALUE and RESULT. The values and results the business will deliver to the market or industry, and through, or as a result of the product or service being offered. A good starting point on why a business exists is to look at its Values, Vision and Mission. Business or Organisation values identify the principles and ethics by which the entity on and its people conduct themselves and their activities. As stated earlier, vision focuses on the future; the business mission concentrates on the here and now. A mission statement defines the fundamental purpose of any business. It identifies who the organisation is, what it does, and who it serves. Where a business vision statement is aspirational, a mission statement is more practical. The mission statement should communicate, in an easily understandable manner, what the organisation does and possibly for whom. Google: Organize the world’s information and make it universally accessible and useful. Apple: Bringing the best personal computing experience to consumers around the world. Facebook: Give the people the power to share and make the world more open and connected. Netflix: To revolutionize the way people watch movies. The business purpose is the most powerful tool a business can have when it comes to attracting and inspiring the best people or talent, focuses the businesses activities and guiding strategic plans. The strategy for business success are built around three pillars: The Product, The Market and The Team. Each pillar or a combination will most likely determine the success or failure of a business. The core pillar or strategy to focus on is “the product to market fit”. In business schools they say that a business fails for two reasons, lack of funding or lack of strategy execution. Strategy execution should centre on getting the product and market fit right. If the product to market strategy execution by the leadership team is not right, the cost to fund the business for customer acquisition, sales, marketing and product development increase to the point where value cannot be captured. In business which strategy pillars contributes the most to success of the enterprise, the team, the product or the market? Or put another way “what is the biggest cause of success”? Also which is the weakest link: a bad team, a weak product, or a bad market? Let us briefly dig a little deeper into these three pillars. Investors and venture capitalists often say they don’t invest in businesses they invest in people, so the team can be defined as the potential effectiveness of the CEO, co-founders and senior staff relative to the market opportunity. Can the team execute against the market opportunity they have identified, will their effectiveness overcome any lack of experience, and has the team the ability to deal with the “never seen it before” obstacles. The product can be defined as to what problem is it solving and how impressive is the product to any customer or user who actually uses it: How easy is the product to install/set up and use? How feature rich is it? How fast can the benefits be seen? How transformational is it? How well-crafted is it? How has it been tested and what were the results? The market is the size, number, predictions and growth rate, of those addressable customers or users for the product. One other pillar that has to be planned for is “the Cost of Customer Acquisition”; meaning that the cost of acquiring a customer is lower than the revenue or profit that customer will contribute. The rate of customer acquisition has to do with execution and the ability of the team to move enough prospects through the sales funnel. Remember also that product quality will not create market size; Steve Jobs learned that lesson with his NeXT business. What a business needs is a desirable product, a big enough market and an economical way to target it. So which pillar is the Number.1 building block for business success? If anyone conducted a survey amongst business people on the question of which is the most important factor in business success, they probably would get three different answers. Some will say team, some on the product, while others will choose the size of the market. As written about earlier in this article, if you ask entrepreneurs or VCs which of team, product, or market is most important, many will say team. This is an obvious answer because most of their knowledge and reference points in the beginning is the team as the product may not be built or ready to market plus the market will not have been fully evaluated yet. Marketing and techies will say the product is the most important factor. The business is product driven, creates great products, then markets buy and use the products. The most valuable companies today are brands such as Apple and Google because they build the best products and without the product there is no company. Right? Try building a great team and having no product, or a great big market and having no product. This leaves “The market”, where researchers, students of business success and business leaders will tell us that the market is the most important factor in a business success or failure. The argument is that in a big market (fragmented market or badly served by existing solutions), a market with lots of real identifiable customers, then the market needs will pull products out of the business. The market is ripe for change, has an appetite that needs feeding and the market will consume, viable products that will feed it. Maybe the product doesn’t need to be the greatest; it just needs to work. And, the market doesn’t care how good a team the business has, as long as the team can produce those viable products. Take the example of search engines, smartphones, online marketplaces even cars, when there is a growing, sizeable market with an appetite for change. Is this the story of telephone directories morphing to the web as search engines, the evolution of the telephone into people’s pockets, the buying and selling of goods being streamlined online or the transportation of people becoming about journeys. The flip-side is in a market with little appetite for change, a business can have the best product in the world and super leadership team, and it may not matter, the business is going to fail. A business can spend a heap of money digging for years trying to find customers willing to pay for a product, little reward for a lot of effort and the team eventually will disintegrate, and the business folds. Has history shown us that the No.1 business success factor is market? When a great business team meets a stagnant market, market wins. When an average business team meets a great market, market wins. But when a great business team meets a great market, then something really special happens. Now this is not to say a business can’t screw up a great market, it has been done many times, but assuming the team is effective and the product is accepted in the market, a great market will tend to return success for the business and a poor market will tend to return failure to the business. So does Market matter most? Great products can sometimes create new markets. Product that are so transformative to business or consumers it creates a whole new big market and the business becomes a gorilla. Think Microsoft. The team needs to know how and on what battle ground it will take on and beat the competition to gain market share. As a business leader or start-up, what should you do next? Focus on the thing that matters; get the product to market fit right. Product to market fit means getting into a good sizeable market with a product that can satisfy that market and capture value for your business. Do whatever is required to get to product to market fit. Seek out people who can help build your vision, change the product, change the sales model, move to a different market, tell customers you need some customer validation for the product, whatever is required. Lastly, build a team that can make the product to market fit happen. A team that can go out and get customers buying the product. Next get product usage growing across a wide range of paying customers. Customer acquisition and market acceptance of the product means the team has got the product to market fit right which means the business can grow by hiring marketing,product, sales and customer support staff. The strategy for business success will always be the product,the market and the team. So the business plan and go to market strategy needs to address all three.